Grant Maloy Smith in concert with Bob Williams opening. Grant Maloy Smith is a singer/songwriter of COUNTRY/ROOTS music – an artful blend of country, bluegrass, folk, and pop music. His most recent album Dust Bowl – American Stories rode the Billboard charts for 17 weeks, including 11 weeks in the top 10 on the Americana/Folk Album Sales chart and #12 on the Country Album Sales Chart. The Bible of American Roots music, NO DEPRESSION magazine, raved: “Grant’s ability to capture the heartland in his music is amazing … he has written A heartland masterpiece … lyrics and music as potent as Woody Guthrie … sent chills down my spine … bound to become a classic … A reminder of the darker period of Bob Dylan, and it’s that good, that memorable…” Learn more about the album here. 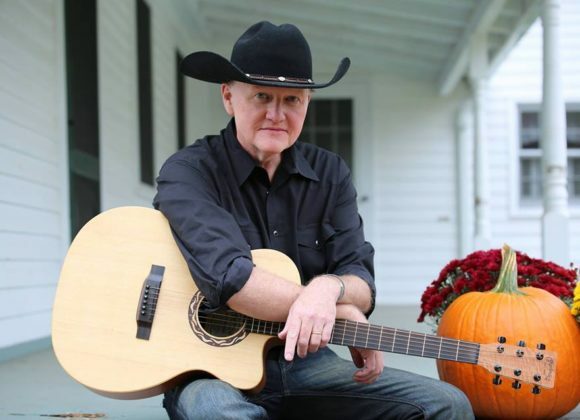 In 2018 he released two singles – first Fly Possum Fly with featured vocalist EmiSunshine, geared toward the young at heart around Christmas time. Then, in honor of our veterans he released Man Of Steel, produced by Grammy® winning producer Chuck Ebert, which has been made the official theme song of the National Veterans Foundation. Click the links to learn more, or go to the Music page to see all of Grant’s music. The ACMA is happy to welcome Grant back to our stage! We are just as happy that ACMA VP, Board Member, driving force behind the Lovers Keys, and Library shows as well as all around super supporter of the ACMA and independent musicians, Bob Williams will open the show for Grant.